What would you do if war broke out? What would you try to save? If you’re one of my many librarian readers, you know exactly what you’d do. You’d be stuffing books under your coat, same as your counterpart in Basra on the eve of the 2003 invasion. Alia Muhammad Baker’s the modest, brainy type. She grew up proud of her ancient heritage, but mindful of the last time her culture was destroyed: by invading Mongol hordes. Feel free to draw any parallels, of course. 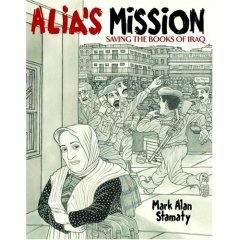 Actually, Stamaty, who pens the acerbic Washingtoons and other political comics, steers clear of the blame game for Alia’s peril in this quick-reading graphic novel about her herculean effort to save 30,000 volumes from the Basra library before the bombs drop. Stamaty shoehorns in several critical days’ worth of frantic activity in stark beige-and-black, with dialogue in all-caps for extra oomph. A compelling narrative plays itself out on Alia's facial features alone; you can even make out flames reflected in her eyes as her beloved library burns. 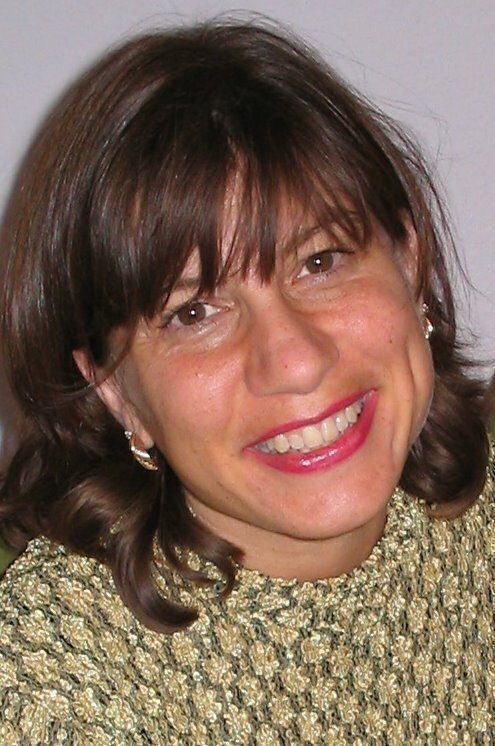 Have you read Jeanette Winter's take on the same story, "The Librarian of Basra"? 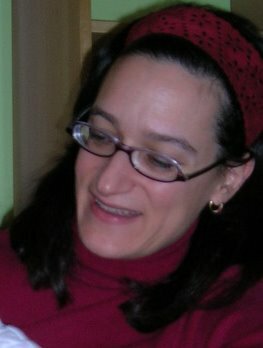 It seems aimed for a younger audience -- the details of the story are clearer in Stamaty's telling. I saw it mentioned on Amazon but haven't read it.